Take palak leaves wash them and keep aside. 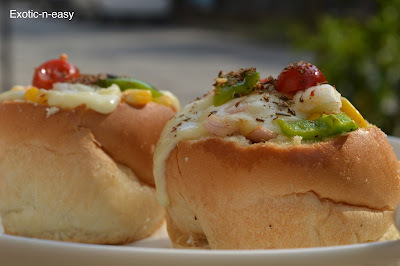 Take a bowl add besan, salt, chilly powder, ajwain, rice flour, sooji, water and form a batter with smooth consistency. In a pan heat oil for frying. 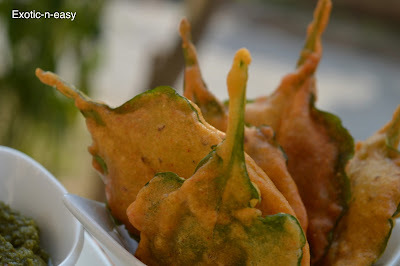 Dip palak leaves in besan batter and deep fry till golden brown from both side. Repeat the steps with rest of leaves.